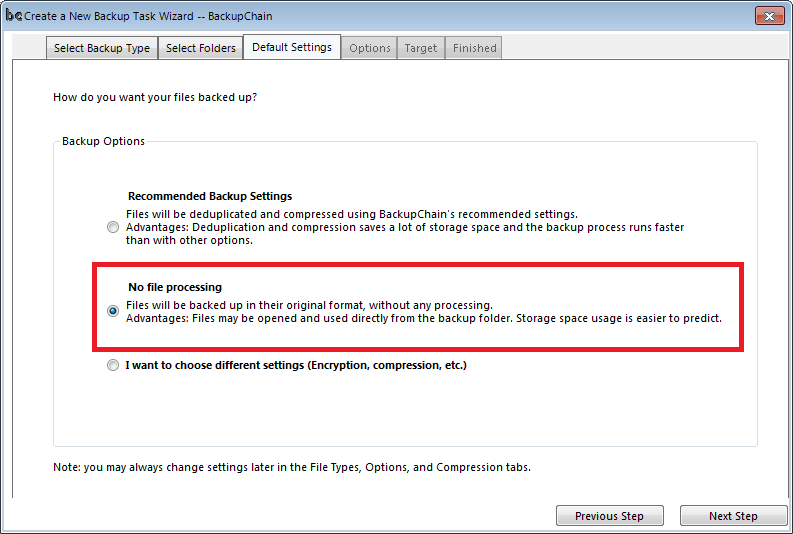 To set up a exact plain file copy task in BackupChain, click New Task, and select ‘Universal Backup’ or General File Backup as backup type. Then select folders and files as necessary and stipulate a target folder. Deduplication: The ability to skip sections inside a file that haven’t changed. This is great for large file backups, such as virtual machines and databases. File Versioning: Keeps the last N changes (versions / editions) of each file. 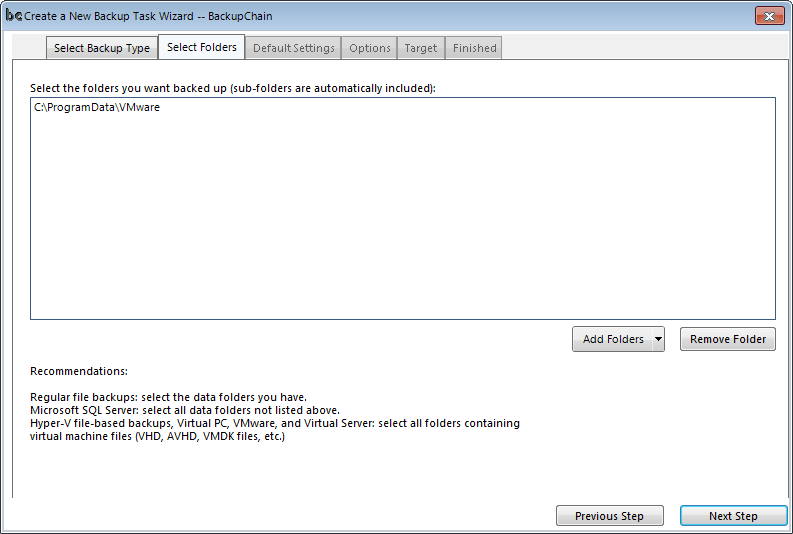 BackupChain allows you to configure this setting for each type of file separately if you want. File Retention: Configure a certain time after which the backup will be deleted automatically. What is retention? Delayed Deletion: When a file gets deleted at the source, BackupChain can be instructed to delete the backup after a certain time period, for example, after 30 days. Scheduling: BackupChain contains a professional Task Scheduler that offers all thinkable scheduling options for your file copy tasks. Compression: You can compress individual types of files as you like, with various compression algorithms and level available. Encryption: AES-256 is used to give you strong encryption, better than the encryption used in HTTPS for online backing. Remote and Cloud backups: Using BackupChain you can back up your files to FTP servers and cloud servers, even with deduplication enabled. 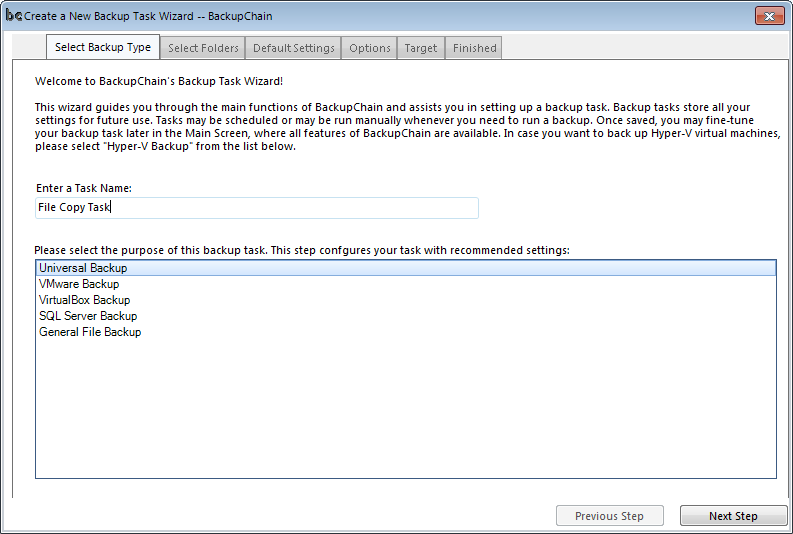 Hyper-V Backups: Backup and restore Hyper-V virtual machines fully automatically. VMware Workstation Backups: Backup and restore VMware Workstation virtual machines and VMware Server VMs. Copyright 2009 - 2018 FastNeuron Inc.